New technologies are now available that can enable public transit companies to balance their books better. Providers in metropolises could even start turning a profit. To exploit this potential, public transit companies and politicians as well as suppliers and manufacturers need to rethink their approach and work together to develop an integrated system of public transportation. 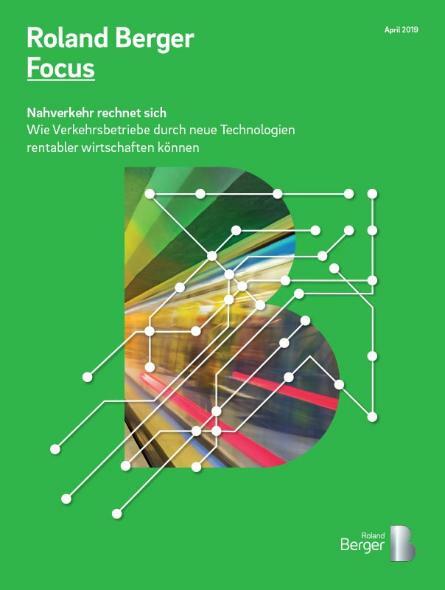 "New technologies offer huge opportunities for public transit companies to boost their efficiency and improve their cost recovery ratio." Local public transit is a subsidy business in Germany: On average, public transit companies cover only 76 percent of their costs and collectively benefit from more than 3 billion euros of government funding per year. But public transit companies could soon become much more profitable if they consistently apply all the innovative technologies out there. Depending on the size of the city, companies could see their cost recovery ratio improve by anywhere between 10 and more than 30 percentage points. Providers in the big metropolises may even be able to turn a profit, with the average firm saving as much as 390 million euros per year. The range of options open to companies stretches from fleet automation and electrification to the use of robo-shuttles and ride-pooling to the deployment of real-time data for predictive maintenance. 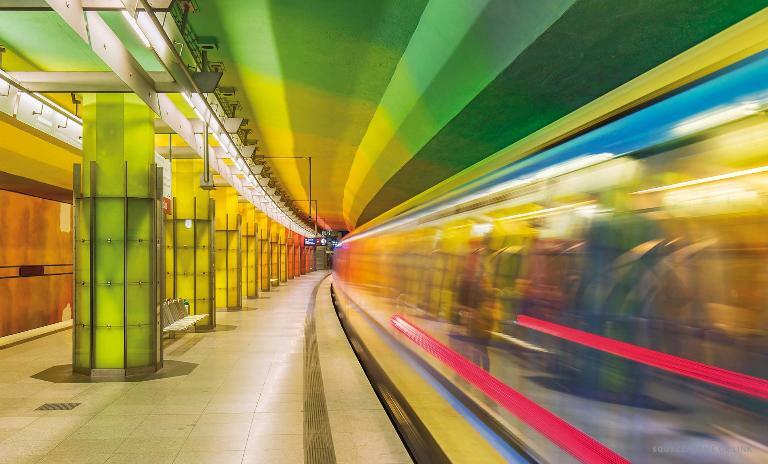 While not all of these technologies are readily available and ready for market yet, developments are proceeding apace, and public transit companies should move now to seize the opportunities that are emerging. Vehicles transmit data in real time to the public transit operators ready for analysis. This includes technical data that can be used for predictive maintenance to help avoid repairs and optimize the planning of maintenance intervals and new vehicle purchases. It also includes journey-related data such as the number of passengers, or any delays on the route. This allows transit companies to match timetables more closely to demand or even adapt them in real time, rerouting buses in the event of traffic jams, for example. Public transit companies introduce "robo-shuttles" – self-driving taxi-vans. These vehicles are used for ride-pooling: bringing together different customers who are going in the same direction, all done with the help of an app. Robo-shuttles can supplement bus services on heavily congested routes or replace them completely on routes with low levels of traffic. This makes it possible to cut the number of buses and make better use of those that remain. Labor, maintenance and repair costs are lower as a result. Buses and streetcars are successively replaced by self-driving models, leaving the routes unchanged. These vehicles function as "feeders" for high-frequency routes, which continue to be covered by subway trains. Not only can public transit companies save on staff numbers by doing so, but it also enables them to control their operating procedures better, cut maintenance costs, run vehicles more energy efficiently and have fewer accidents. Public transit companies replace their buses with electric vehicles and build the required charging infrastructure. While this initially necessitates considerable investments given that electric buses currently cost more to buy than conventional-drive vehicles, it is assumed that the costs, range and running times of both types of vehicle will eventually converge. Ultimately, running costs will be lower thanks to significantly reduced energy costs during vehicle operation and lower costs for maintenance and servicing. This is where various modes of transportation, run by both public and private transit companies, operate via a single intermodal transit platform as part of the same ticket and pricing system. Customers can choose the combination of modes of transportation that suits them best, or let the system automatically select the best option for them. Intermodal transit platforms allow public transit companies to control capacity and, importantly, retain the customer interface and access to data that goes with it, enabling them to generate additional income. Mobility-as-a-service is also an important precursor for implementing other strategies, such as the use of real-time data. Taxi-vans with drivers help connect new areas to the transit network and replace bus routes with low utilization. By running services on demand only, public transit companies can serve areas that were previously left out of the local transit network because it was not worth offering regular services there – rural regions, for instance. By doing so, companies can gain new customers and new revenues, improve fleet utilization levels and cut operating costs. Though the startup investments are considerable and the financial effect limited owing to higher labor costs, this is an important step in the transition to self-driving vehicles, at which point the business model can be scaled up. Public transit companies use tiered pricing to distribute the utilization of transit services more evenly, while still being bound by the requirements of public service provision. Managing demand enables public transit companies to use their fleets better and meet additional demand. 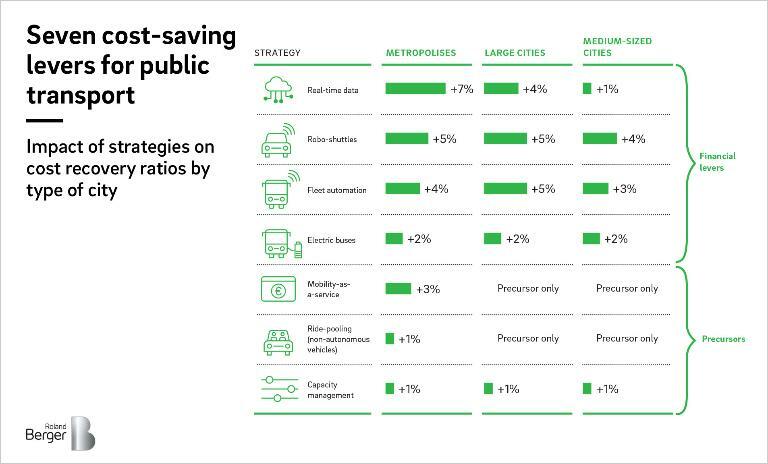 The efficiency potential of these seven strategies ranges from minimal impact, as in the case of ride-pooling services with a driver, to the 7 percentage point increase in cost recovery that a metropolis can achieve through the use of real-time data (see infographic). It makes sense to implement all seven strategies given that they are all mutually stimulating and interrelated. They also support an integrated approach and create the basis for an overall system of urban mobility operating at maximum efficiency. Not only will the providers, both public and private, benefit from that, but so will the passengers. Public transport companies can balance their books better with new technologies – some may even be able to turn a profit. Roland Berger describes seven strategies for improving cost recovery ratios.